Today in Masonic History Phineas Warren Hitchcock is born in 1881. Phineas Warren Hitchcock was an American politician. Hitchcock was born on November 30th, 1831 in New Lebanon, New York. At the age of 16 he attended Great Barrington Academy in Great Barrington, Massachusetts. He entered Williams College in Williamstown Massachusetts where he graduated in 1855. After graduation Hitchcock spent approximately two years in New York City where he studied law and pursued journalistic interests. In 1857 he moved to the Nebraska Territory where he opened a law office. Combined with the law office were several insurance companies and a general real estate business. From 1861 until 1864 Hitchcock was appointed a United States Marshall. In 1865 he was elected as the Nebraska Delegate to the United States Congress ans served for two years. In 1867, after Nebraska was admitted as a state, he was appointed surveyor general of Nebraska and Iowa, serving until 1869. 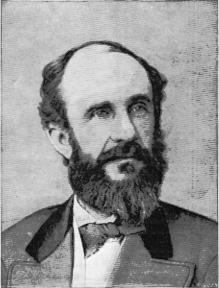 In 1870, Hitchcock was elected to serve in the United States Senate as a Republican. He served only one term. During that term he was the Chairman of the Committee on Territories. The most notable bill that he introduced and was passed was the Timber Culture Act which was a follow up to the Homestead Act. The Timber Culture Act allowed homesteaders to acquire 160 acres of land by planting 40 acres of trees. They were given a specific time frame to prove that the trees had been planted and that an adequate number of the trees survived anywhere from 5 to 13 years on. They also had to have a witnessed "timber culture proof" affidavit before they were allowed to get the patents for the land. Hitchcock passed away on July 10th, 1881. Hitchcock was a member of Capitol Lodge No. 3, Omaha, Nebraska.